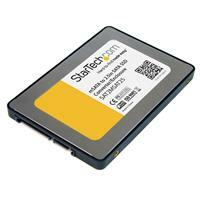 The SAT2MSAT25 2.5in SATA to Mini SATA SSD Adapter Enclosure turns an mSATA (Mini SATA) mini-SSD into a standard 2.5in SATA SSD for use anywhere a 2.5in SATA drive can be used. Featuring all of the standard mounting points that a normal 2.5in hard drive uses, the converter can be installed into External Hard Drive Enclosures, Hard Drive Docking Stations or into desktop or laptop computers. 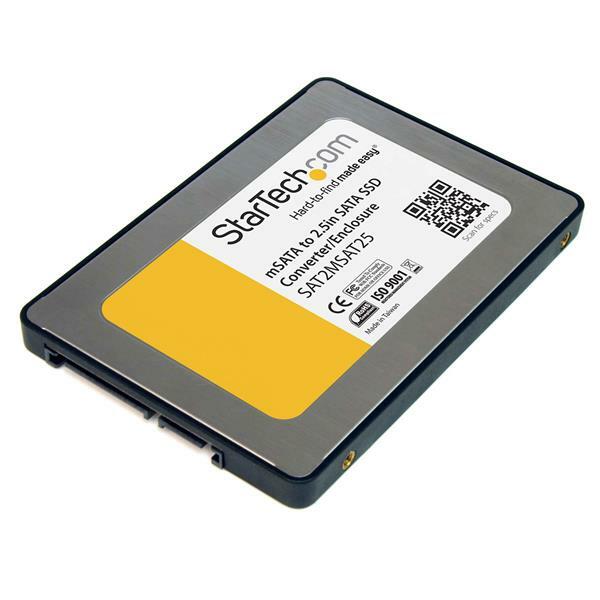 The enclosure also features a unique design that enables seamless data pass-through with no conversion bottlenecks, enabling the mSATA drive to work as fast as it's allowed by the host system/interface. 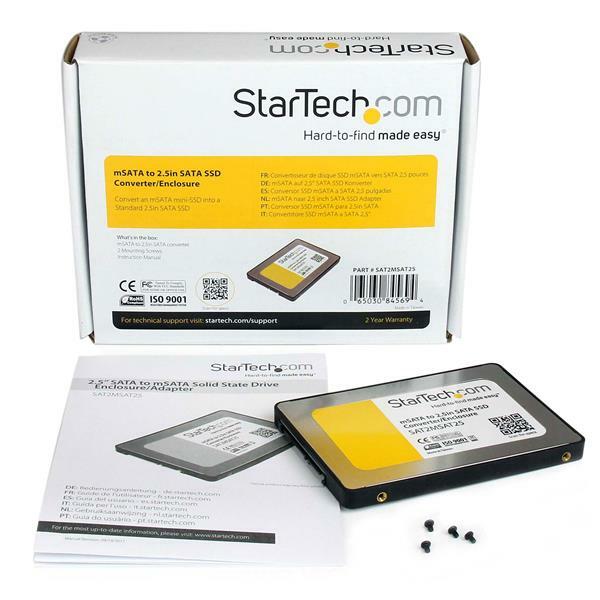 Constructed from aluminum and plastic, this converter is backed by a StarTech.com 2-year warranty and free lifetime technical support.